Young, vivacious Joanna Bennett desperately wishes to be captain of her own lobstering boat, but despite being the favored daughter of Bennett’s Island’s founding family, she is still just a girl in the eyes of the community, and a girl living off the coast of Maine in the early 20th century is expected to mind the kitchen, not tend to pot buoys. While quietly struggling to find her place on insular Bennett’s Island, one where she could let her bold and opinionated nature shine without shaming her family, Joanna instead finds love when she meets a witty stranger with a sparkling smile just off the mailboat. One whirlwind courtship and wedding later, Joanna finds herself master of her own house, and every aspect of her beloved island seems to reflect her joy. But when the luster begins to wear off and her husband’s dark secrets slowly reveal themselves, Joanna must draw on her determination, resilience, and resourcefulness to keep her family together. 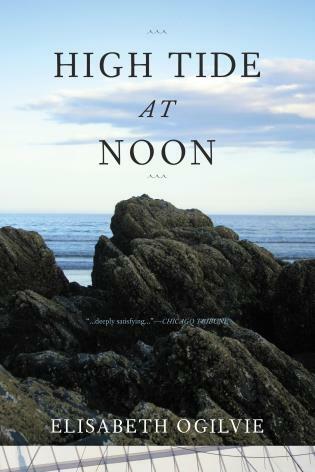 This evocative coming-of-age story transports readers to the beautiful and rugged Maine coast, where families must eke their livelihoods from the tempestuous ocean but in return they’re afforded the daily splendor and simple pleasures of island life. Elisabeth Ogilvie wrote 46 books including Storm Tide, Ebbing Tide, and her memoir My World is an Island. In 1947 she won the New England Women’s Press Association award for Storm Tide. Ogilvie grew up in the greater Boston area, but lived in Maine from 1944 until her death in 2006 and remains one of Maine’s best loved writers.